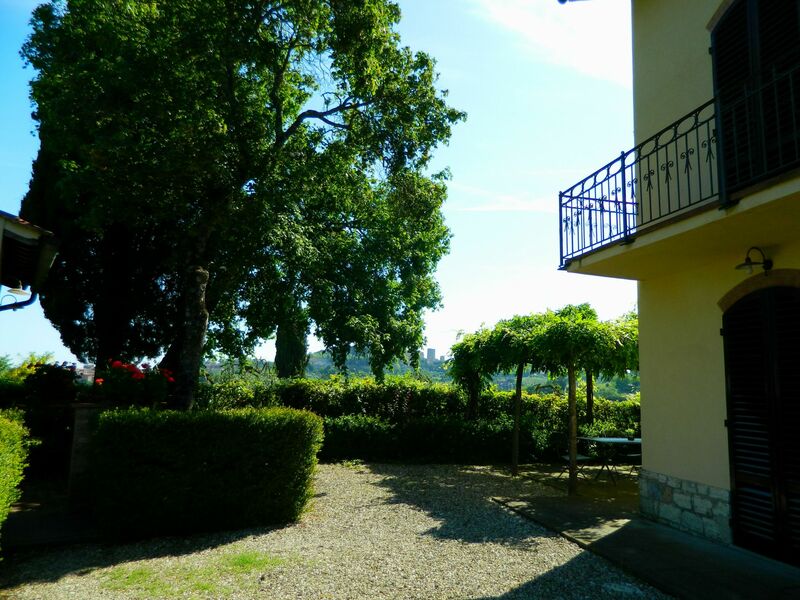 Deep in the San Gimignano countryside, Raccianello is a fascinating agriturismo in the heart of Chianti, sorrounded by the green of the Tuscan hills. 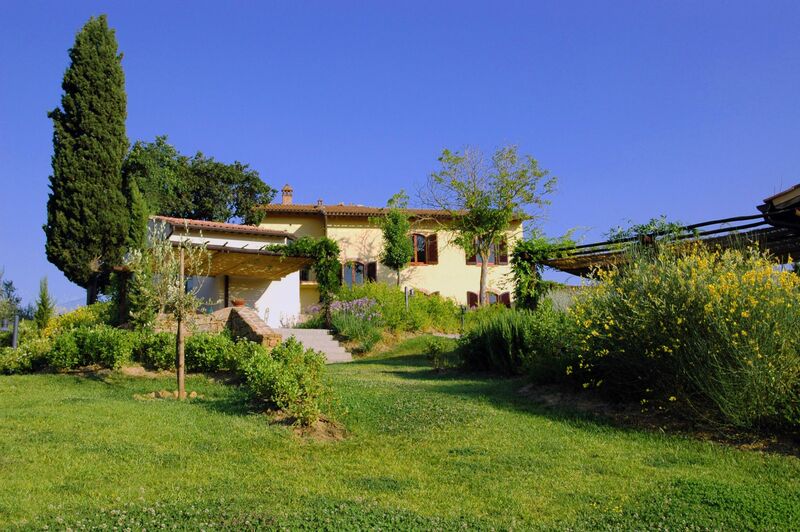 The Agriturismo has: 7 apartaments, finely renovated in the tipical tuscan style with exclusice outdoor spaces and several public areas; a overflow swimming pool with a beautiful view of the San Gimignano towers; a restaurant with big glass windows over the Tuscan hills; 2.5 acres of land farmed as vineyard and olive groves. 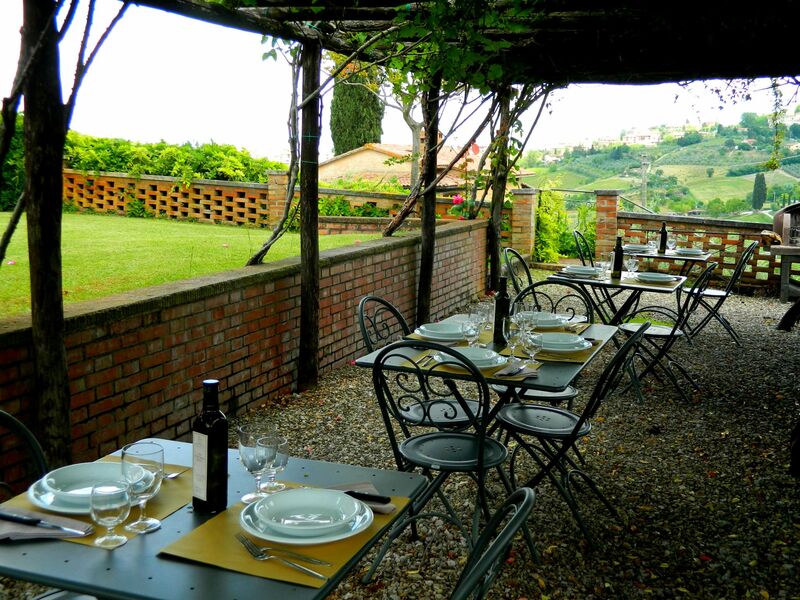 The countryside quiet and the family hospitality make agriturismo Racianello the perfect plase to spend a beautiful holiday in Tuscany and enjoy some relaxing time. Thanks to a cooperation with an handmade bakery in San Gimignano, every mornings, upon order the previous evening, you can receive directly at your apartament fresh breakfast products. 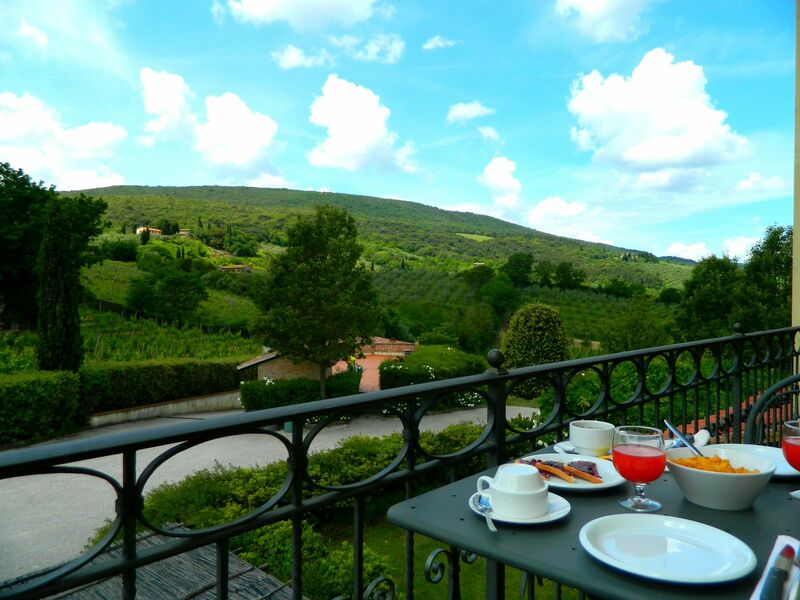 Our wish is to make you feel relaxed, having breakfast under the pergola or out in your balcony, surrounded by the suggestive view of the green Chianti hill. Furthermore, our restaurant, avialable exclusively for our guests, is open 1 evening a week offering a typical Tuscan dinner with a menu of 4 courses at the price of 25,00 euro, beverage included (wine own production). 2018 is the year of the launch of our Winery where you can enjoy a tasting experience of our production wines, Vernaccia of San Gimignano, Chianti Superiore and The Insolito IGT and other proposal of wines from the best farms of San Gimignano. 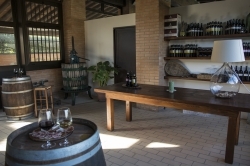 The tasting is combined with a selection of tuscan cold cuts and cheese that will make you appreciate the characteristics and variety of the different kind of wines. The tasting will be available. 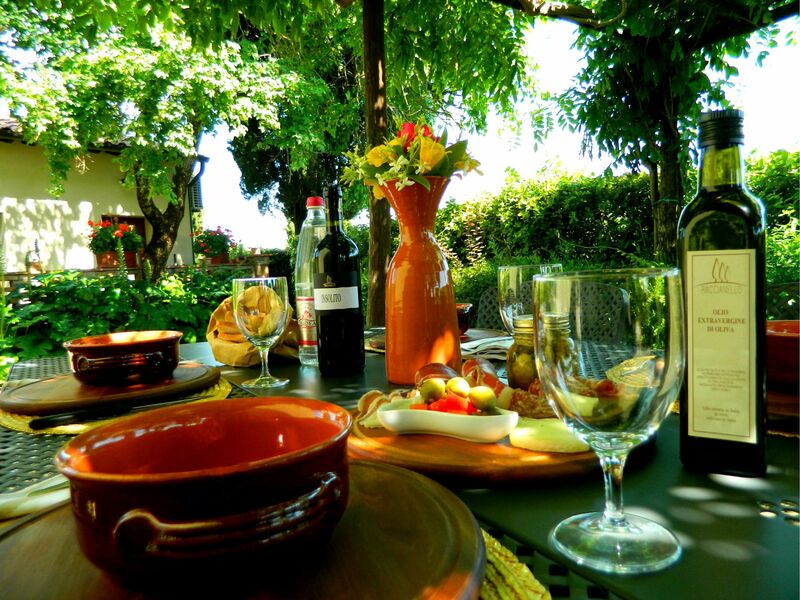 upon reservation, at a price of 18,00 euros per person.